We arrived in New York afternoon, after a long flight we needed to take a nap. I woke up early in the morning that day to go to airport and I just couldn't sleep during the flight. After we took a rest we went to Shake & Shack. This restaurant are spread out all over New York and fortunately we could find it nearby our hotel. I've heard that their Fries with cheese are so good, but we've ended up getting Cheeseburgers and normal Fries. I am absolutely a big fan of Fries and all I can say that their Fries are the best. They're so crunchy outside and smooth inside. They tasted like homemade Fries. The other burger restaurant that we tried was Five Guys. It was a recommendation from one of our best friend who spent almost a year in USA. We could also find this restaurant nearby the hotel. 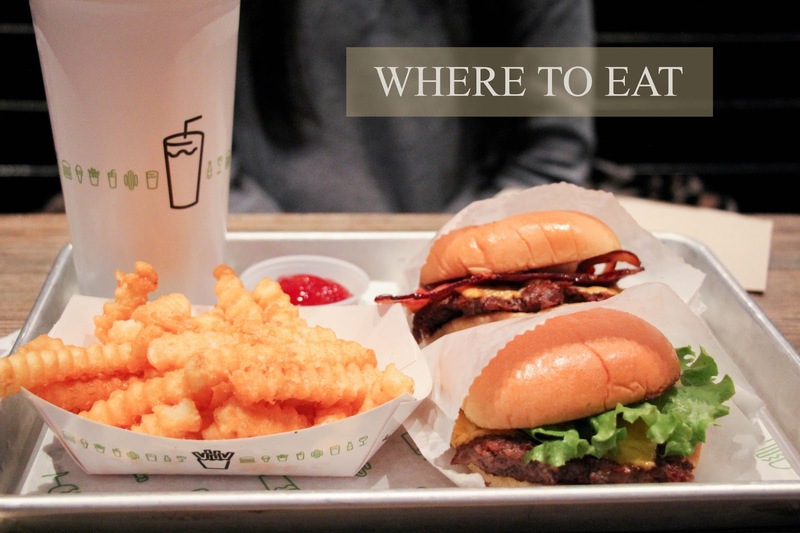 Their burgers are delicious, my husband liked it more than Shake & Shack. Their Fries are supposed to be the best Fries in US but I like the fries by Shake & Shack better. 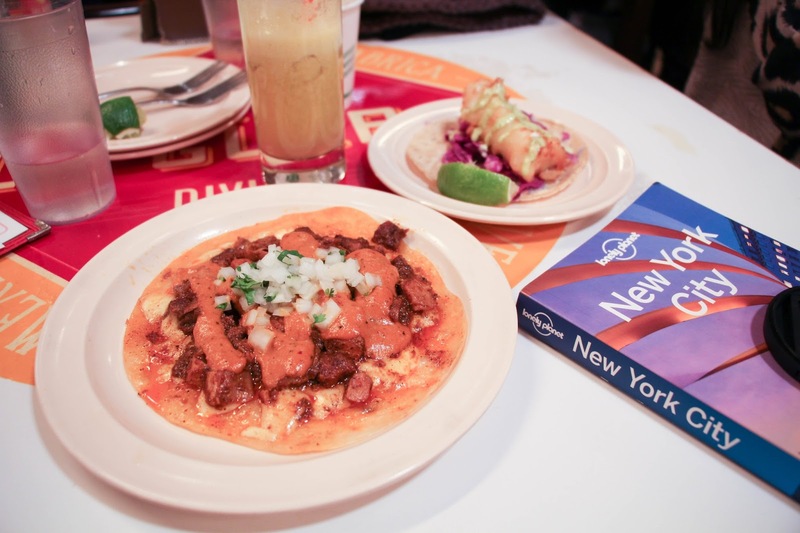 During our stay in New York, we tried a lot of Mexican food and I looove it so much. I love the taste, it's just refreshing and interesting. The combination of the fresh veggies, crunchy tacos and meat or fish are just wow. When I'm in US, all I want for breakfast is a real American breakfast. It means that pancakes are a must for me :P We went to very different restaurants this time. We went to IHOP, Denny's and Junior's. We already knew IHOP and Denny's, so it was not so special again. The first time we went to Denny's on our first trip, I was just excited because of their Hashbrown, sooo delish. So, this time I really wanted to go there and it was pretty disappointed though. Their Hashbrown was not good at all, what a shame. The next day we went to Junior's for breakfast and it was sooooo good as you can see on the picture below. Unfortunately they don't have hashbrown, so I ordered pancakes and they are so so delicious! They were the best pancakes I have ever ate!!! Junior's is actually very famous for their New York Cheesecake, but we didn't try it yet, because we didn't have much time after we found out that they have the best cheesecake, so next time will we definitely go there and have to try it. I hope you like this review and have a great day guys!